This is a colorful and flavorful chili recipe that you can count on for success every time. Most of the vegetarian chili recipes we’ve seen involve throwing ingredients in a pot and simmering, but we’ve taken flavor to another level by browning some of the ingredients first. Combine that with Dizzy Pig’s Fajita-ish seasoning, and you have a delicious pot of chili that you don’t have to be a vegetarian to love. Yeah, there are a few extra steps, but it’ll be worth it. Trust us on this one. Most of the vegetables can be substituted with whatever is fresh, so no worries if you don’t have the exact ingredients listed. The mushrooms and veggie burgers give the texture and meatiness that most people desire in a chili. You can exchange tofu for the veggie burgers, or leave it out altogether. Same goes for the mushrooms. Leave them out or add even more if you are a mushroom fan. Lastly, add any toppings you’d like, such as Cheddar or Monterey Jack cheese, sour cream, and tortilla chips. To keep this chili vegan and gluten-free, replace the cheese and sour cream with avocado slices and/or drops of hot sauce. Char poblano peppers over a gas flame, or directly on burning charcoal until the skin is charred black. Be careful not to burn the flesh of the pepper. Immediately place the peppers in a bowl and cover, or wrap in aluminum foil, to steam for about 15 minutes. After steaming, the charred skin should easily peel off. Discard seeds/membranes, dice the poblanos, and reserve. Place veggie burger pieces in pot, spread out in single layer. Season with 2 tsp Fajita-ish seasoning and brown them well without turning, about 5 minutes. You want to toast the spices as well as brown the veggie burgers. Once well browned on the first side, flip over/stir and cook for 2-3 more minutes to finish toasting the spices. Remove from pot and reserve. You’ll add them back towards the end. To the same pot, add mushrooms, along with 1 tsp of Fajita-ish seasoning, and cook until well browned. 5-10 minutes. Remove from pot and reserve. You’ll add them back towards the end. Add onions and 2 tsp Fajita-ish to pot and cook until translucent, even slightly caramelized if you prefer. Add garlic and cook a few minutes, until fragrant. Add beans, zucchini, tomatoes and peppers. 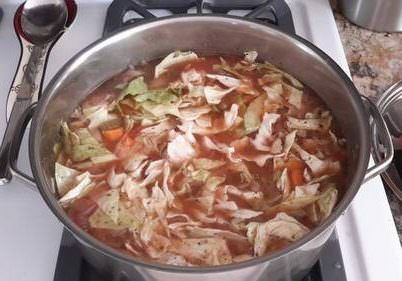 Bring to a simmer and reduce heat to low. Let the chili simmer for about 45 minutes. The vegetables will give up water as they cook, so we did not need to add any more liquid. If you do, use vegetable stock. Add browned mushrooms and veggie burger pieces and gently stir to incorporate. Simmer 10-15 more minutes. Salt/season to taste. Serve and enjoy! Chili goes great with Cheddar or Monterey Jack cheese, or sour cream. Char peppers until the skin is black. Be careful not to burn the flesh of the pepper. Place veggie burger pieces in pot, spread out in single layer. Season with 2 tsp Fajita-ish seasoning, brown both sides and reserve. Brown mushrooms, along with 1 tsp of Fajita-ish seasoning, well and reserve. Bring to a simmer. Reduce heat to low and let it simmer for 45 minutes. The vegetables will give up water as they cook, so we did not need to add any more liquid. If you do, use vegetable stock. Add browned mushrooms and veggie burger pieces and gently stir to incorporate. Simmer 15 more minutes. Salt/season to taste.